Claire cut her hair the other day. Quite a bit of it. Kind of gave herself a half mullet. After my initial panic, I took her to my sister’s hair dresser and decided that a Dorothy Hamill was the way to go. 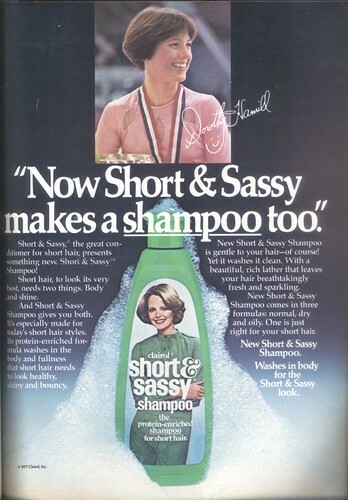 After all, I’d always pined for one as a girl, and even though I did have Short & Sassy shampoo as a girl, the hair cut was but a distant dream because of my cowlick. But hers looks pretty cute! At gymnastics today, I decided that she looked like a little Mary Lou Retton and have decided that she will indeed pursue a gymnastics career. Finn, on the other hand, has not cut his hair but did run into a door…or the corner of one…and has a nice bruiser. It has been quite eventful here over the holidays.